Beaches Suites are located at the top of the South Island in Nelson, one of New Zealand’s most popular holiday destinations. Experience Nelson’s unique and welcoming environment - its stunning coastline; magnificent mountain ranges; creative and friendly locals; its strong café and arts culture; and many natural attractions and activities. 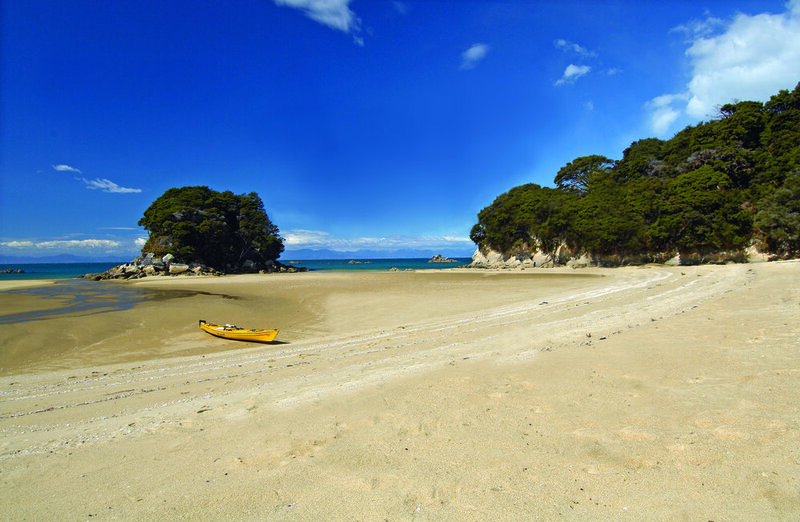 Within easy distance of three national parks, including the world-renowned Abel Tasman National Park along with Nelson Lakes and Kahurangi, and close to a plethora of water-based activities, Nelson offers a wide variety of outdoor adventures for the adrenalin seekers, from skydiving to caving; kayaking to whitewater rafting; horse trekking to 4WD safaris. Nelson is a “foodies’ heaven”, a veritable food basket offering super fresh bounty from the sea, orchards and gardens, along with award-winning wines and beers from the many boutique breweries and internationally-respected wineries of the region. And those who like a spot of retail therapy have an abundance of choice, from the famous Saturday market to the area’s many talented local artisans including jewellers, winemakers, brewers, olive growers, woodworkers, fabric and clothing designers, furniture makers, potters, ceramicists and artists. Of course the city and neighbouring townships are also well served by a large range of retail outlets, including department stores and boutiques. Maybe a wander through the many galleries or craft outlets is more to your taste; or perhaps a stroll through the beautiful public gardens or even a visit to the local marae where you can learn more about Māori culture and customs. The choice is yours, but whatever you choose you will be sure to take home a treasured memory of your time in the paradise that is Nelson.